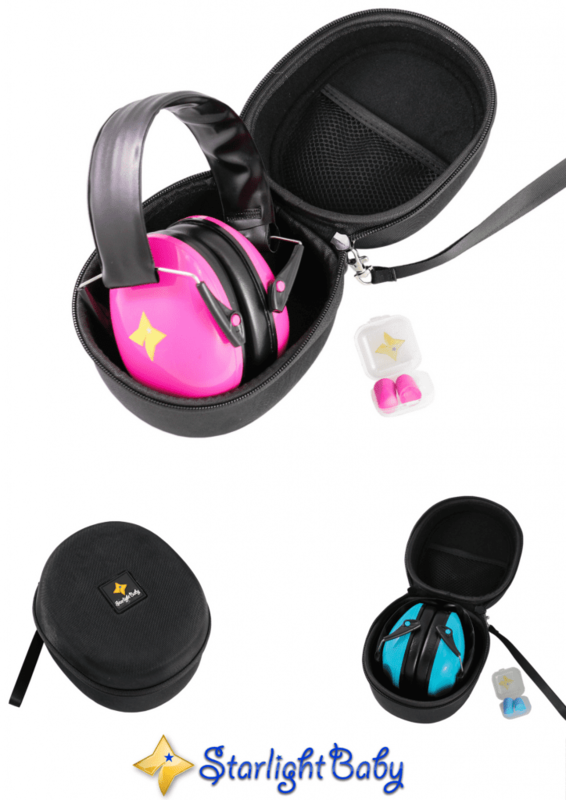 Protect your children’s ears with the Starlight Baby Ear Protection Kit. Reducing noise to a safe level, this package is perfect for stadiums, concerts, event centers, and more. Your children’s ears deserve the best. Reducing noise by a whopping 57 decibels, there is no other kit so effective at saving your child’s ears from damage. They only get one pair – protect them. The unique design allows for precise adjustment to perfectly fit your child’s head. This makes them far more comfortable, without having to buy new pairs as your child grows. Luxury. There’s a reason so many parents have chosen Starlight Baby products. It’s not just a purchase – it’s a statement. Meets CPSC Safety Regulations. CE certified. Lead free. 100% safe for you and your child. 100% SATISFACTION GUARANTEED We believe so strongly that you will love our ear protection kit that we offer a 100% money back guarantee with every purchase. If for any reason you aren’t satisfied with our products, we will refund your entire purchase with no questions asked. Click here to purchase on Amazon.com for $34.99, or opt-in below for an exclusive 10% off coupon!